Hey everybody. I’d like to thank you all again for reading MUSIC-SURVIVAL-GUIDE. It’s been a blast writing this stuff each week. It sounds silly, but prepping only one of these every week and publishing has been a true test. My schedule is crazy and putting the quality I want into each installation weekly can be tough. So, with that said, scheduling and what not. My new band NOX CULT begins gigging this month so I wanted to make this weeks drop into M-S-G a cheap plug for me and my band! I’m very excited about this venture, once again putting everything I have into another band and making music I believe in that I want to share with the world. Our first cult gathering/show is on 1/25 at Blackthorn51 in Queens, we are sharing the stage with Wednesday 13 and a bunch of really awesome bands. We go on at 5:30pm sharp! It’s gonna be killer. 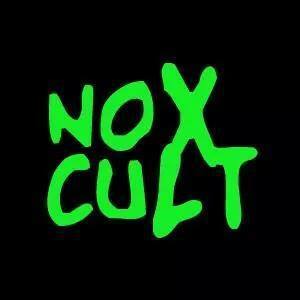 Please keep up with us over at http://www.facebook.com/noxcult. We are also on Instagram and Twitter and intend on having our official website rolled out before we hit that stage on the 25th! So, to all who dare to dream and give a crap about independent artists of any kind. I sincerely thank you. Here’s to the paths less traveled!